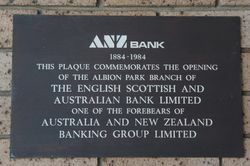 A plaque commemorates the opening of a branch of the English, Scottish and Australian Bank at Albion Park in 1884. 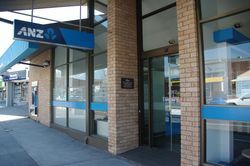 The branch was one of the forbears of the Australia and New Zealand Banking Group (ANZ). 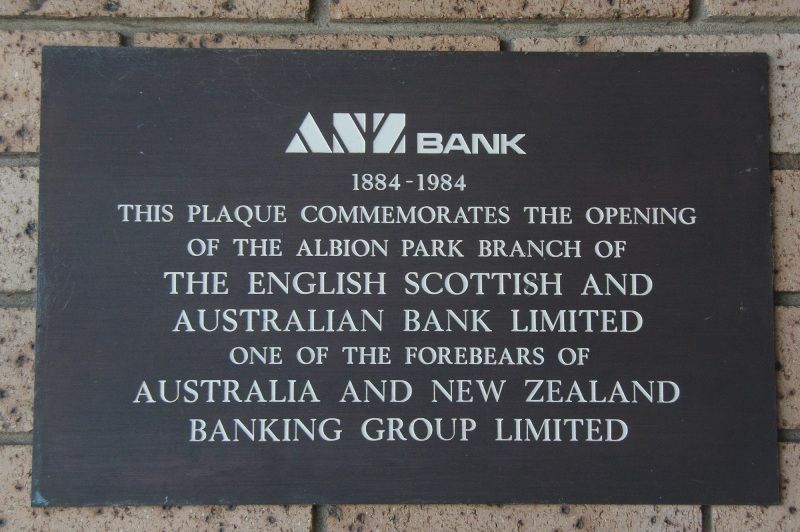 The English, Scottish and Australian Bank was established in 1852. This was an Anglo Australian bank. In 1951 the Bank of Australasia merged with the Union Bank of Australia to form ANZ Bank. In 1970 in what was then the largest merger in Australian banking history, ANZ Bank merged with the English, Scottish and Australian Bank Limited to form the present organisation, Australia and New Zealand Banking Group Limited.